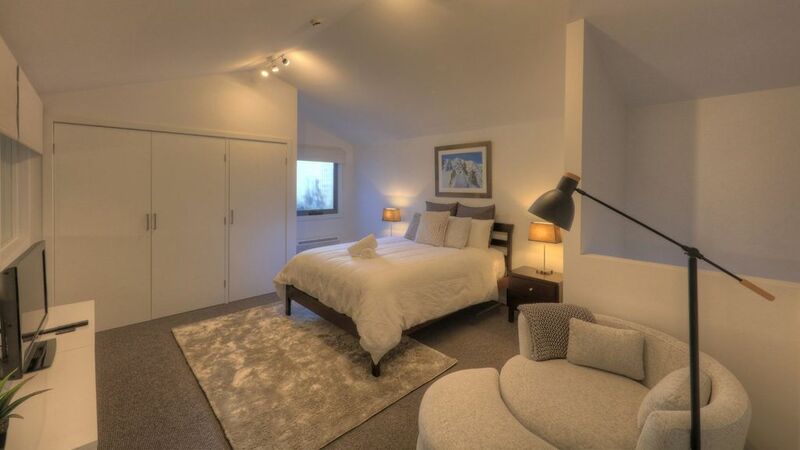 Sleeps 6 - Luxurious 3 Bedroom & 2 Bathroom, Garaged Car Spot, Balcony & BBQ! Max: 6 People / 3 Levels - 2 internal flights of stairs. LOCATION: Crackenback Drive. Take the first right hand turn into Thredbo, you will come to a roundabout, continue on until you see the Thredbo Chapel on your right (just past the Village Green/Playing Field which is on your left). Turn right into this street where you will come upon a bridge almost immediately. On your left is the Thredbo Community Centre, just beyond that you will see the next building on your left which is Snowbound Chalets. CHANGEOVER DAYS IN WINTER ARE FRIDAY AND SUNDAY. YOUR ARRIVAL AND DEPARTURE DATES MUST COINCIDE WITH A CHANGEOVER DAY THROUGHOUT WINTER MONTHS. Please Note. A security deposit of $1000.00 is payable on arrival for all apartments/chalets. Snowbound Chalet 5 is a stunning 3 bedroom chalet in a great location on Crackenback Ridge, just a short stroll from the Village Trail ski run and golf course. Spacious and beautifully appointed, this great property has all the comforts you could ask for at a great price. i apologise for your poor experience. I can understand and share your frustration. As explained though, we were under the impression that you were not coming and as such unset the apartment. This is a requirement from our owners. Also, I understand your frustration with the cancellation policy but again this is a requirement from owners which they ask us to enforce. We were 2 families and fit comfortably into DeDacha. It was warm, the beds were comfy, the kitchen well equipped and the lounge welcoming. Just a short walk to the lifts or local restaurants. DeDacha was empty when we arrived so we received early check in which was great! We had the best time and will definitely revisit! Crackenback Ridge is ideal for the more advanced skier. You can ski from your chalet door (or a short walk) down the Thredbo Supertrail, Australia's longest run, down to the lift. In the afternoon, after a delicious lunch at Kareela Hut and at least one bottle of Mumm champagne, ski back to you door to relax in front of your wood fireplace. A short walk from your door is the Thredbo Golf Course which is the prefect toboggan run in Winter.